Many people think that the construction industry in Los Angeles, CA is all about brute force industry, motors, and horsepower, with digital technologies like computers not being relevant all. Of course, nothing could be further from the truth. In the same way that the digital revolution has changed, medicine, business, and even private life in Los Angeles, CA there’s no way that an industry like construction—which is always looking to innovate—wouldn’t find ways to take advantage of information technology. In 2019, there are a few trends in tech that far-sighted construction industrialists should be anticipating. Taking advantage of these trends can mean better quality, higher efficiency, and more profit. The big data trend is not just useful for helping sales companies track consumer spending habits. Big data is all about compiling huge amounts of information and presenting them in easier to interpret actionable forms. Construction benefits from big data too, in this regard. With big data, construction companies can make more accurate predictions about the outcomes of projects. This can mean more accurate timelines, better-controlled budgets, and more efficient spending, which result in projects less likely to spiral out of control. Just because construction deals with a lot of real-world factors, such as materials research, and architecture, that doesn’t mean there isn’t a lot of paperwork, administration, and payroll to handle. Enterprise content management, or ECM, can be a useful “lubricant” to grease up the inter-departmental machine. With the right ECM software, even disparate departments can be connected for updates, confirmations, transactions and approvals in real-time. Expense reporting, processing, and filing data can be done quickly online, verified online without needing copies or signatures of approval, and even compiled for useful big data analytics later. 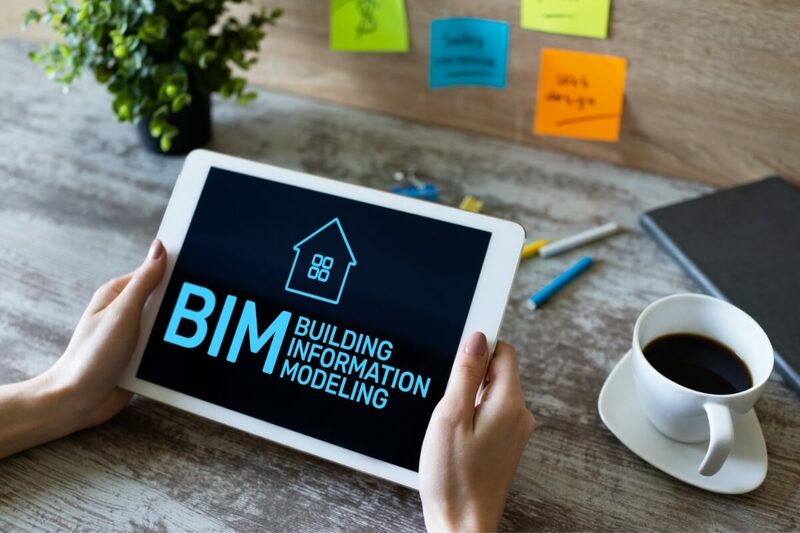 While the other tech trends are just ways for existing technologies to find a use in construction, building information modeling, or BIM is a technology that was created, from the ground up, with architecture and construction in mind. BIM is all about simulation. Planners can create buildings with the virtual physical properties of the materials they have in mind, for a more accurate idea of the stresses and structural strong and weak points of different configurations. They can more accurately plan what the outcome of the project will be thanks to the realistic, simulations aspect of BIM. Perhaps most important of all, however, BIM is an order of magnitude more useful than Computer Assisted Drafting, or CAD, which was primarily about creating plans and building concepts in 2D. BIM can create fully-rendered 3D environments that planners can “visit” either through monitors or with exciting new tech developments, such as virtual reality, that now put people “within” the environment to see how it actually looks from a human perspective. Construction in Los Angeles, CA continues to advance with new breakthroughs in architecture, materials and engineering. Even information technology can play a big role in this, helping people to get the job done faster, more efficiently, with more safety, and even accuracy in the planning and budget stages. Next PostWhat Can A Database Administrator Do In The Cloud Era?